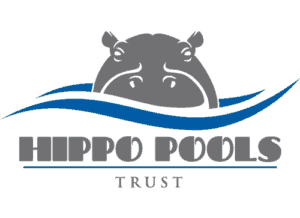 Hippo Pools Trust is a community development and wildlife conservation non-profit organization. The Trust has been working with impoverished communities in the Shamva and UMP districts of Zimbabwe since 1998. Sally has remained the primary donor and fundraiser for the Hippo Pools Trust, and we are so grateful for her tireless efforts and the positive impact she has had in the Umfurudzi Safari Area communities. We could not have done it without her! Most of the fundraising work is based in the UK; we have five UK trustees who serve on our board. The development work is done in Zimbabwe, and we have seven Zimbabwean trustees who provide us with invaluable local knowledge. Hippo Pools Trust works diligently to reduce poverty in an area that is home to approximately 6,000 people in and around the Umfurudzi Safari Area. We do this by direct investment into education, healthcare, income-generating projects, skills training and wildlife conservation. Over the past 15 years, we have built and equipped a primary healthcare clinic that serves the area. We have also built and developed infrastructure at four local schools. We facilitate ongoing staff and teacher training at these schools and sponsor education for orphaned children. Additionally, we fund a Community Development Officer and a Conservation Training Officer who work at a grassroots level with the community. Our anti-poaching unit has grown to include seven fully trained full-time scouts who actively patrol, day and night, a large area surrounding Hippo Pools Wilderness Camp within Umfurudzi Park to protect our wildlife, fish and natural environment. Anti-poaching creates jobs, promotes training and education and reduces habitat and wildlife destruction. In addition to our patrols, we have a dedicated Conservation Officer who runs conservation clubs in the four local community schools that we support. We also run weekend conservation courses for local community children to learn about our animals and their heritage. -Pens, math sets, educational toys, etc. -The gift of clothing promotes healthier mothers and babies at the clinic.